How do I turn off 'on my way' notifications? A window will appear. 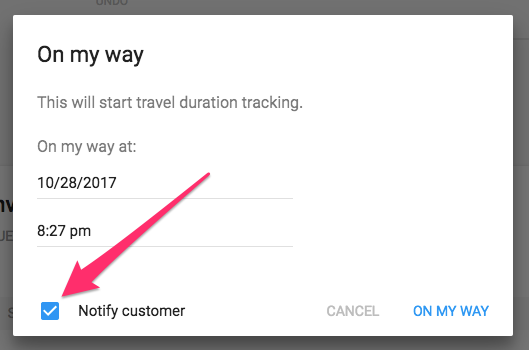 Uncheck the 'notify customer' box by clicking on it. Click the 'on my way' button in the bottom right to mark the correct time.